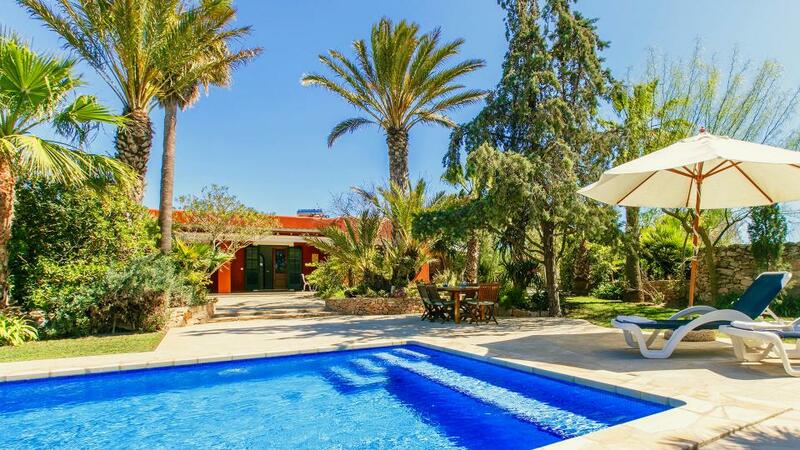 House enjoying great views over the coast, the sea and the islands of Conejera and Bosque. 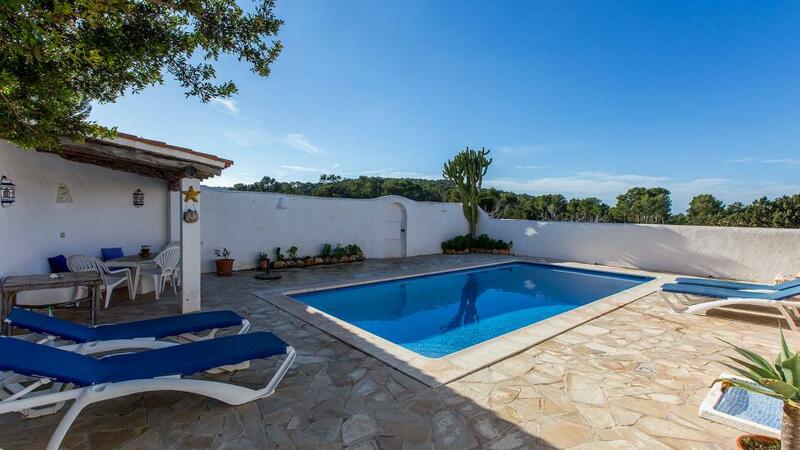 Overlooking the entire San Antonio bay and the south coast, this property is ideally placed close to Cala Salada beach in a very peaceful residential area. Room, Ground level. This bedroom has 1 double bed 160 cm. Bathroom outside the room, shared, With bathtub, shower. WC in the bathroom. This bedroom includes also air conditioning. Room, Ground level. This bedroom has 2 single beds 90 cm. Bathroom outside the room, shared, With bathtub, shower. WC in the bathroom. This bedroom includes also air conditioning. Room, Lower floor. This bedroom has 1 double bed 160 cm. Bathroom outside the room, shared, With shower. separate WC room. This bedroom includes also air conditioning. Direct access to the terrace and the pool. Covered terrace, equipped with dining table for 6 people. 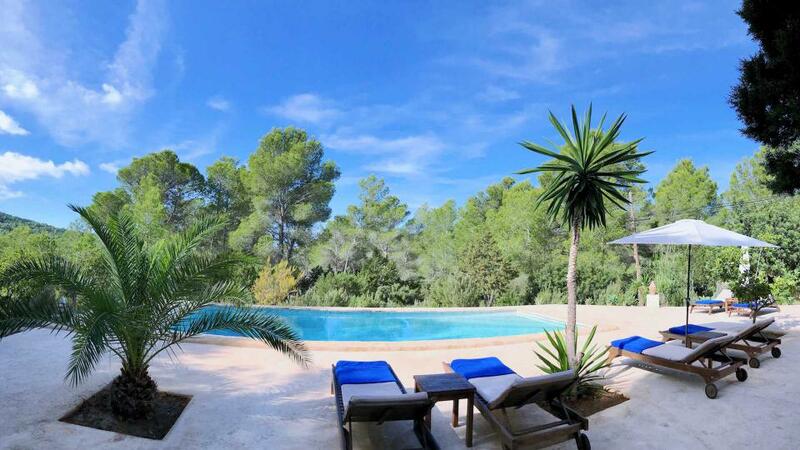 The villa is located 17km from Ibiza town and 12km from Cala Tarida.